Yesterday was one of those occasions, and India got about as mad at me as I've ever seen her. India has mostly emerged from the volatility of childhood. Her tantrums now are few and far between. She’s precocious and fancies herself an adult. 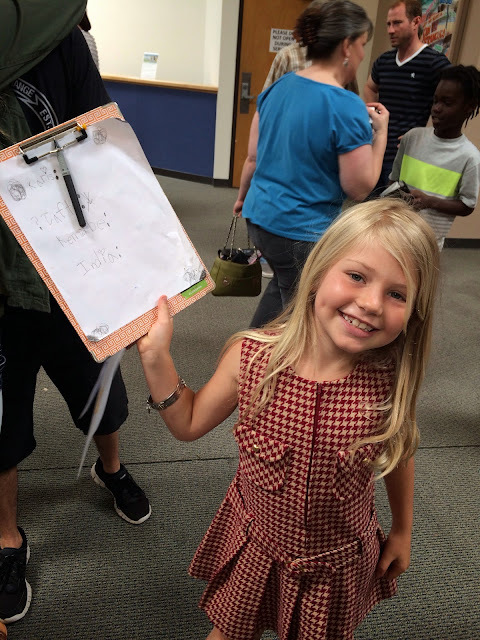 Case in point: yesterday she brought a clipboard with a handwritten behavioral chart to church to keep track of her siblings in Sunday School. But yesterday I offended her deeply. My crime? I didn't invite her to a play that Mark and I were seeing. She loves seeing plays, and I do frequently take her with me. I think she’s seen a pretty good share of them for her age. But this particular play was Tartuffe by Molière.Not exactly fare for a first-grader. I explained that I didn't think she was old enough to understand the language in the play, and that Molière's language was similar to Shakespeare and perhaps a bit over her head. Well, that COMPLETELY set her off. She yelled. She screamed. She insisted that she is capable of reading Shakespeare. She told me how insulted she was that I would assume she wouldn't get it. She cried over me robbing her of the experience of being the only child in the theater, which apparently is something she greatly values. She was so mad she even called me by my first name . . . as in, "I do not appreciate this, KRISTEN. I DO read Shakespeare!" I finally calmed her down by profusely apologizing for underestimating her theater comprehension abilities and allowing her to watch Elf when the babysitter came, but my goodness. It was a lot of drama about drama. 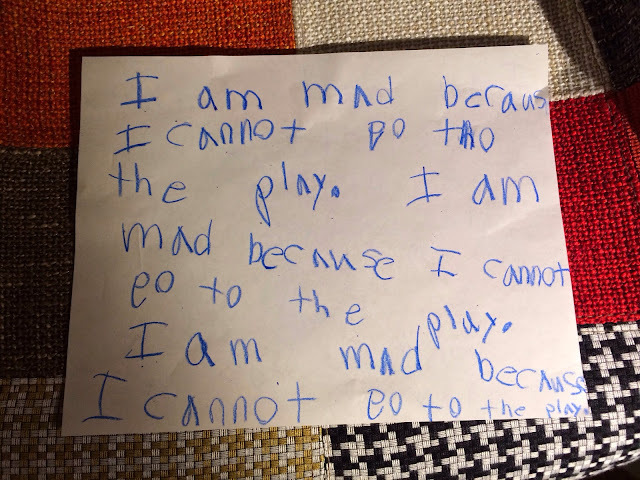 And while we enjoyed the play very much, I feel certain that it would have been over her head and she would have been bored. But don't tell her I said that. And having a kid who is that enthusiast about theater? I’ll take the drama, any day.